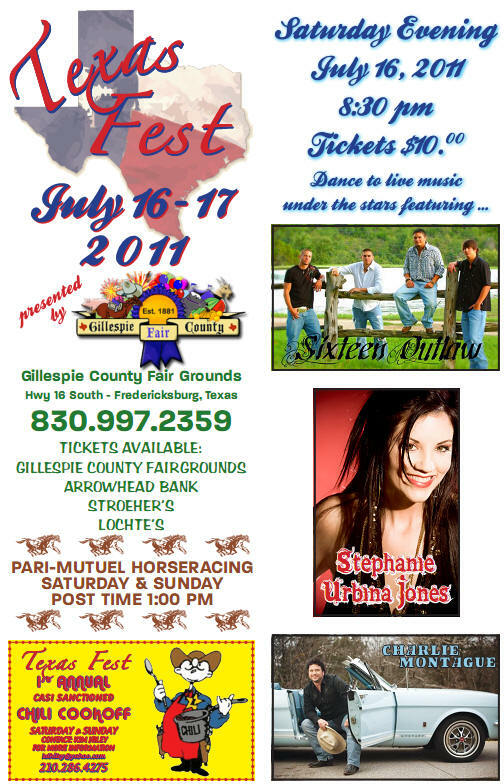 Live horse racing, Chili Cookoff, Concerts and Dances including Sixteen Outlaw, Charlie Montague and Stephanie Urbina Jones. Concerts are at 8:30pm, tickets are $10.00. All this is at the Gillespie County Fairgrounds, on Highway 16 South. Call 830-997-2359 for more information.